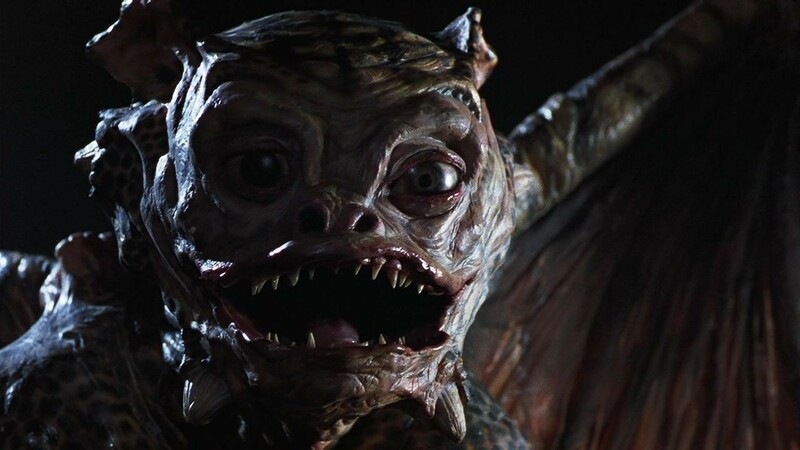 Tales from the Darkside: The Movie is an anthology film that was released in 1990 and is based on the popular 80s anthology television series Tales from the Darkside. The film depicts a kidnapped paperboy who tells three stories of horror to the suburban witch who is preparing to eat him. I remember seeing this movie when I was very young and I’ve always struggled to remember exactly what it was. Well, thanks to Google I was able to finally figure it out. The movie opens with Betty, a seemingly innocent housewife and modern-day witch (Deborah Harry), planning a dinner party. 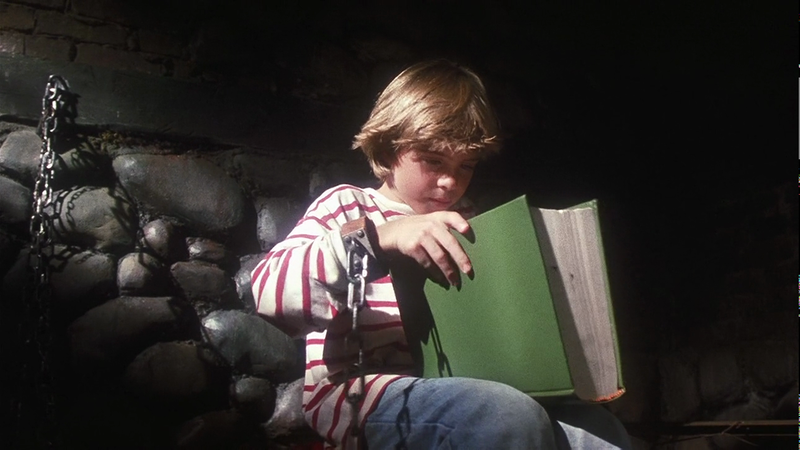 The main dish is to be Timmy (Matthew Lawrence), a young boy whom she had captured earlier and chained up in her pantry. To stall her from stuffing and roasting him, the boy tells her three horror stories from a book she gave him, titled Tales from the Darkside. 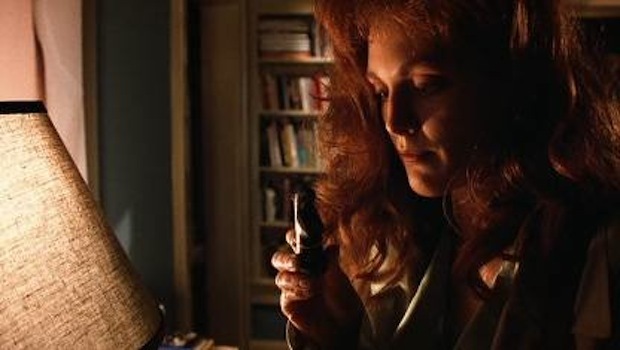 In the first story, A graduate student named Bellingham (played by Steve Buscemi) has been cheated by two classmates Susan (played by Julianne Moore), and Lee (played by Robert Sedgwick) who framed him for theft to ruin his chances of winning a scholarship for which they were competing. Susan’s Brother Andy (played by Christian Slater) just happens to be friends with Bellingham and attempts to keep the peace between everyone. 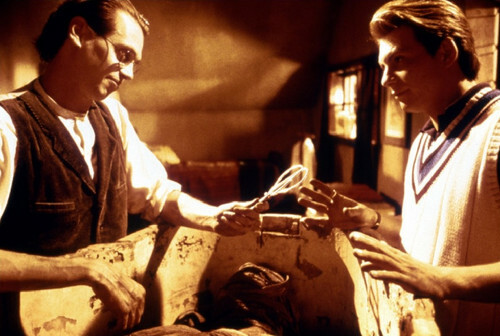 Bellingham has a sarcophagus delivered to his university apartment which he opens and then goes on to remove the bandages from the mummy within, with Andy’s help. I’m sure you’re wondering, where the hell did Bellingham get his very own Sarcophagus and mummy from? The movie doesn’t fully explain this but seeing as it’s designed to be a very short story you can forgive them for leaving out some details and just take it as it is. As revenge, Bellingham reanimates the mummy by reading magic words from a scroll and sends it over to Lee’s house. It’s established earlier that Mummy’s generally had their brains removed with a hook that would be inserted up the nostrils. Unfortunately for Lee, the mummy also seems to know this except it ops for a metallic clothes hanger hook instead. Susan comes back just in time to see the Mummy leave and find Lee dead with his brain literally in the fruit bowl. Not happy to stop there, Bellingham sends the mummy out to kill Susan and it does just that. She attempts to fight back by throwing flowers at it but this only seems to offend the mummy as it decides to cut a hole in her back with a knife and stuff her with the flowers. Andy discovers his sister’s corpse and of course figures out that Bellingham has reanimated the mummy and was using it for his bidding. Andy kidnaps Bellingham, and burns the parchment and mummy. He considers killing Bellingham, but in the end can’t bring himself to commit real murder. His soft heart serves him poorly in the twist ending, though, when Bellingham brings Susan and Lee back from the dead (he switched the reanimation parchment with a similar one) and dispatches them to Andy’s dorm, greeting the terrified Andy by saying that Bellingham sent his regards. I really enjoyed Lot 249 because it’s really entertaining from beginning to end and has some pretty cool gore and effects crammed into its short runtime; the mummy costume in particular looks quite good. Everything happens really quickly but there are a few quite suspenseful moments like when you can see the mummy in Lee’s apartment but he cannot. 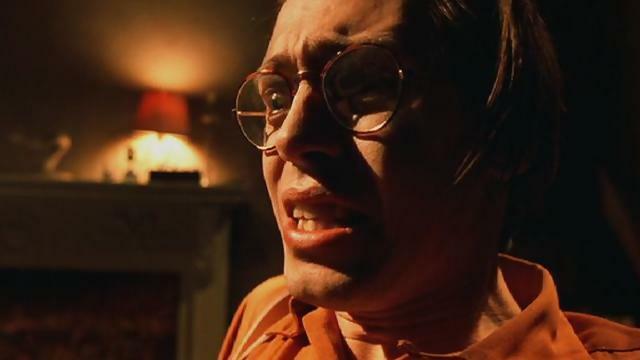 The best thing about Lot 249 is undoubtedly the acting which isn’t surprising considering the talent involved; Steve Buscemi and Christian Slater are awesome here. 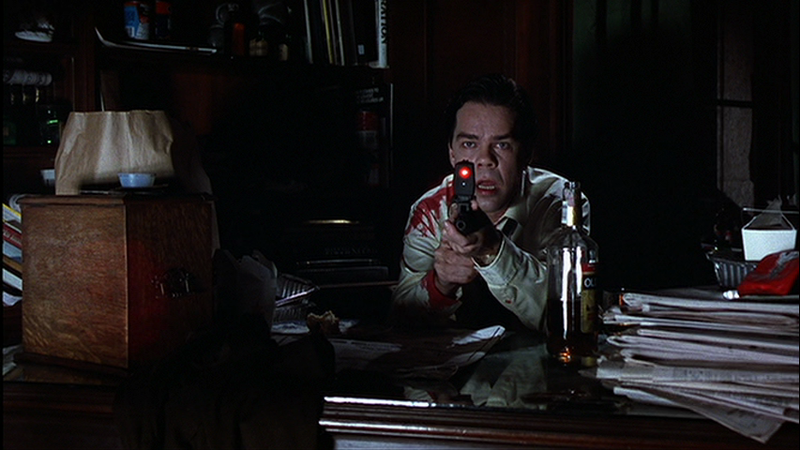 In the second tale, George A. Romero adapts a Stephen King short story of the same name. 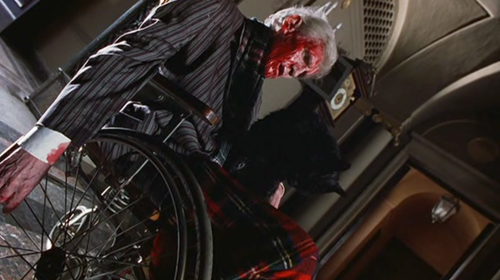 Drogan is a wealthy, wheelchair-bound old man (played by William Hickey) who brings in a hitman named Halston (played by David Johansen) for a bizarre hire: kill a black cat, which Drogan believes is murderously evil. 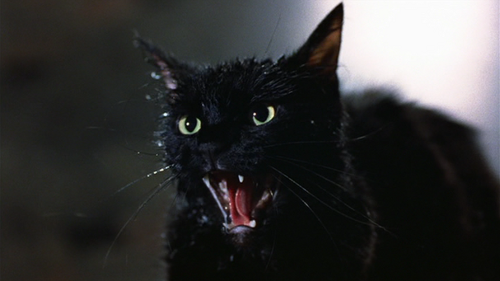 Drogan explains that there were three other occupants of his house before the cat arrived: his sister, Amanda), her friend Carolyn, and the family’s butler, Richard Gage (played by Mark Margolis). Drogan claims that one by one, the cat killed the other three, and that he is next. Drogan’s pharmaceutical company killed 5,000 cats while testing a new drug, and he is convinced that this black cat is here to exact cosmic revenge. Halston doesn’t believe the story, but is more than willing to eliminate the cat since Drogan is offering $100,000. But when Drogan returns to the house to see if the deed is done, he finds that the cat has in fact killed Halston, by climbing down his throat. The cat emerges from the hitman’s corpse and jumps at Drogan, giving him a fatal heart attack. Once again this is such an entertaining little story and a fairly creepy one at that. The scene where the cat forces its way down Halston’s throat is seriously disgusting but the effects used are top notch. It’s interesting because as the viewer you question whether it is all simply paranoia from Drogan as each death is easily explainable. Also, it makes you wonder who the actual villain of the story is; is it Drogan who killed 5,000 cats or is it the murderous feline. 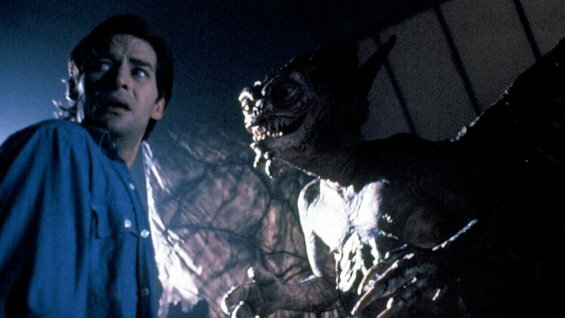 The third and final segment revolves around a despondent artist named Preston (played by James Remar) witnesses a gruesome murder committed by a gargoyle-like monster. The monster agrees to spare Preston’s life as long as he swears never to speak of what he saw and heard or describe the monster’s appearance to anyone. The monster vanishes, leaving Preston traumatized and confused, but bound by his oath never to talk about the incident. After that night, Preston’s life takes many turns for the better. He meets a beautiful woman named Carola (played by Rae Dawn Chong), and they fall in love, marry, and have two children. Preston’s struggling art career becomes wildly successful, and life seems promising, but he is tormented by memories of his encounter with the monster, and his vow of silence weighs on him. 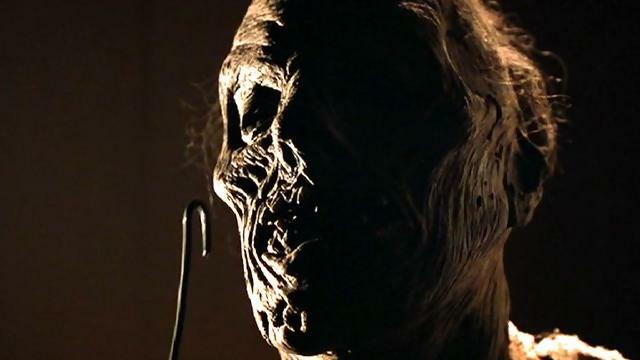 One night he breaks down and tells Carola about the monster, even showing her a statue he sculpted of it. What will happen now that Preston has broken his vow, something that has tormented him for 10 long years? This twist is too good to spoil. Yet again, this is another very interesting and entertaining story with more excellent acting performances. The suit used for the gargoyle looks really cool and imaginative but it’s pretty obvious it’s a suit. It always disappointed me how the movie ends, it’s satisfying enough but just happens way to quickly. 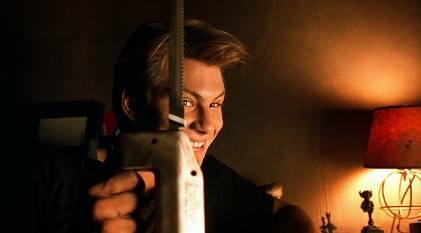 Considering the movie has a relatively short run time it manages to cram in 4 very interesting, unique horror stories and it only leaves you wanting more when the credits roll. There is a whole lot of quality acting throughout from some very well-known actors and the movie is much better for it. Personally, I have a tough time choosing which story is my favorite but I’d encourage any horror buff to view it and decide.